On March 24, 2019, about 1101 eastern daylight time, a Pilatus PC-12/45, N944BT, was substantially damaged when the pilot's windshield shattered while flying near Fort Lauderdale, Florida. The commercial pilot and two passengers were not injured. Visual meteorological conditions prevailed, and an instrument flight plan was filed for the flight that originated from the Fort Lauderdale Executive Airport (FXE), Fort Lauderdale, Florida, and was destined for Moore-Murrell Airport (MOR), Morristown, Tennessee. The personal flight was conducted under the provisions of Title 14 Code of Federal Regulations Part 91. According to the pilot, he was climbing through 20,000 ft when he heard a loud bang and the pilot side windshield shattered. He immediately notified air traffic control that he was returning to FXE and needed descend. After landing uneventfully, he examined the windshield and noticed that the seal was extruded in two places around the outer pane. Examination of the airplane by a Federal Aviation Administration (FAA) inspector revealed that the pilot's side windshield was shattered and still attached to the airplane. The bottom left corner and upper corner of the windshield were pushed outward, and the seal around the windshield was torn. The lower left heating element was burnt. The pilot held a commercial pilot certificate with ratings for airplane single-engine land, single-engine sea, and multi-engine land. His most-recent FAA third-class medical certificate was issued on November 15, 2017. 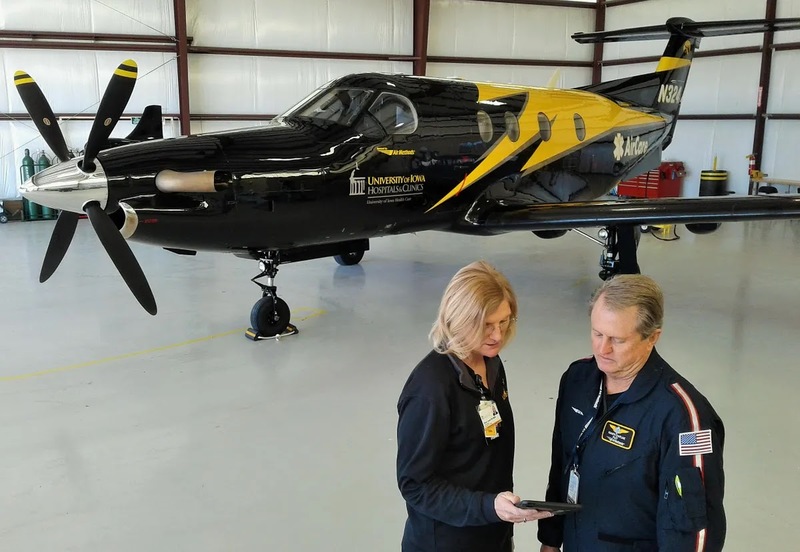 He reported 9,000 total hours of flight experience of which 2,600 hours were in the PC-12. The airplane was manufactured in 2002. It was powered by a Pratt and Whitney PT6A-67, 1,250-horsepower engine, equipped with a four-bladed Hartzell propeller.